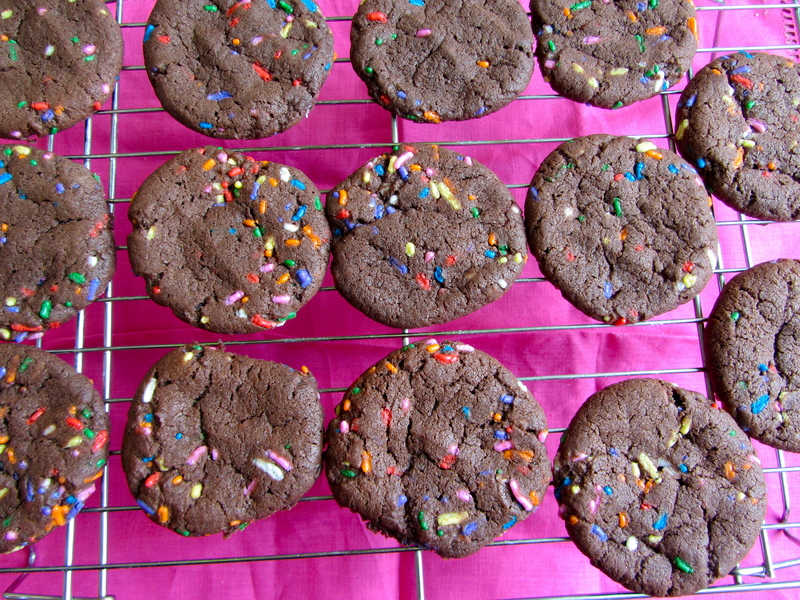 I’m always looking for new, interesting and pretty cookie ideas – everyone gets sick of the same thing all the time. I’d found these rather dramatically vivid sprinkles in a TK Maxx (strangely rewarding places for unusual food finds) and I knew they had to feature. I thought the colour would get to stand out to its maximum in a chocolate cookie – so here we have (guess what?) 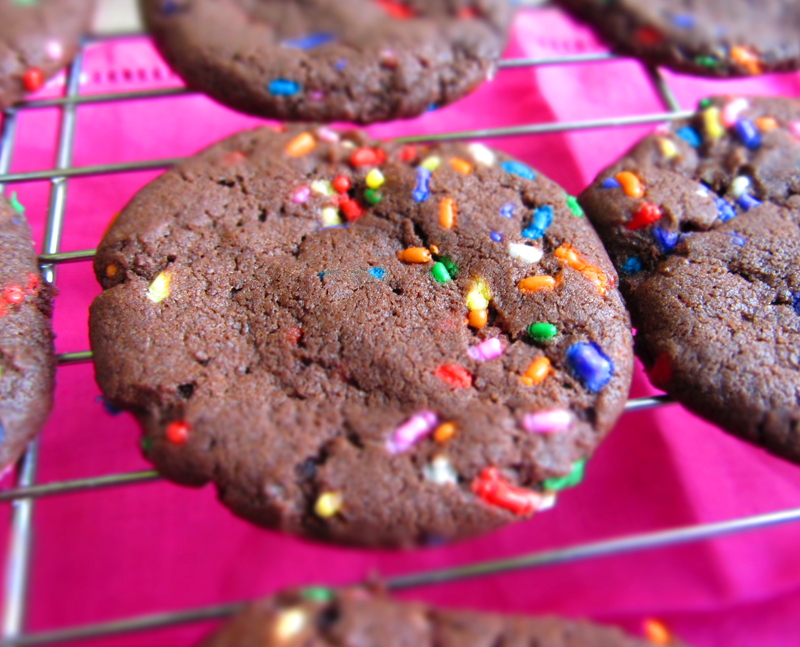 chocolate cookies flavoured with cocoa and jazzed up with some of these super bright rainbow sprinkles. But don’t be fooled, they don’t just look pretty, they also taste great. So much so, I’ve made them twice in the past week. – Whisk together the oil, oat milk, sugars, vanilla and cornflour. It will combine to form a smooth caramel. – Sift in the flour, cocoa, bicarb and salt. Mix well. – Roll into walnut sized balls, place slightly apart on the baking sheets and flatten a little. – Let cool on the baking sheets for a few minutes before moving to a wire rack. I’m not sure what it is about me, but I’m a total sucker for sprinkles! 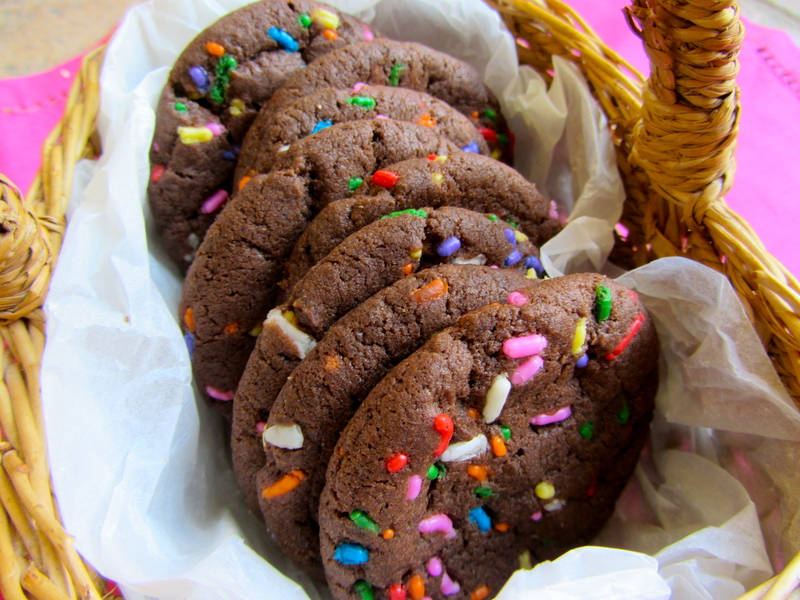 With the chocolate,the colors stand out! Love it! 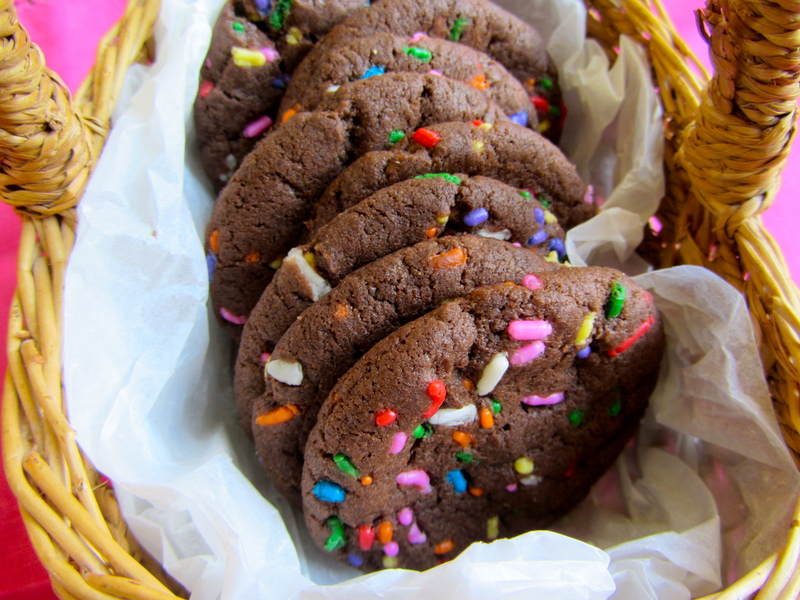 Those sprinkles are unusually bright and a beautiful contrast to the chocolate cookie. I have also come across some interesting finds at TJMaxx! It certainly has some interesting finds! Made these today for my daughters as friends home for tea. BIG hit! They’re lovely & look fab! Many thanks yet again Lucy! !